It has been a very busy few days. 3 new challenges started and a weekend hop. Speaking of hops. I would like to thank all the people who are loyal followers who visited all the blogs and left each DT member so blog lovin. You are the best of the best. 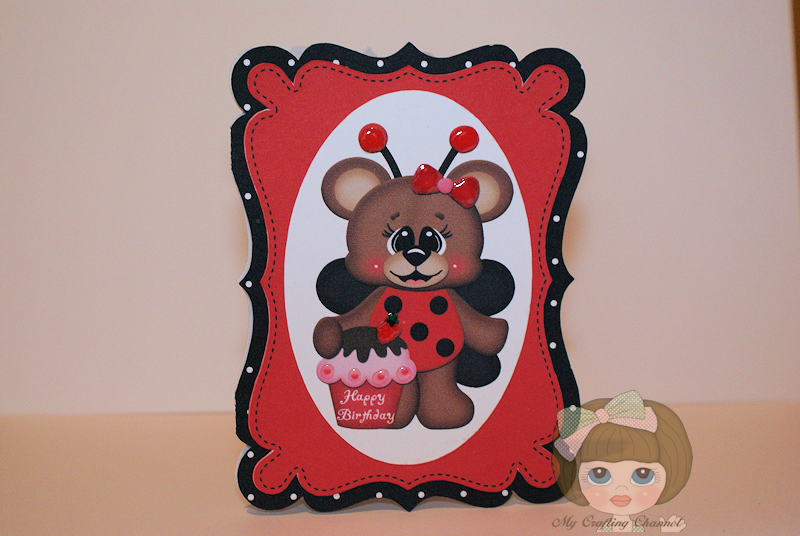 This morning I have this cute Lady Bug Birthday card to share. I fell in love with the image. It is a print n cut I purchased from the Silhouette store. I used the print from the Silhouette to add the Happy Birthday to the Cupcake on the front of the card just using a font from my computer as well as to add a sentiment to the inside that I purchased from the SS. Added the faux stitching to layer. I may just have to clean out the 2 drawers that hold all of my sentiment stamps to make room for more useful crafting supplies. I really don't ever see me using them again. 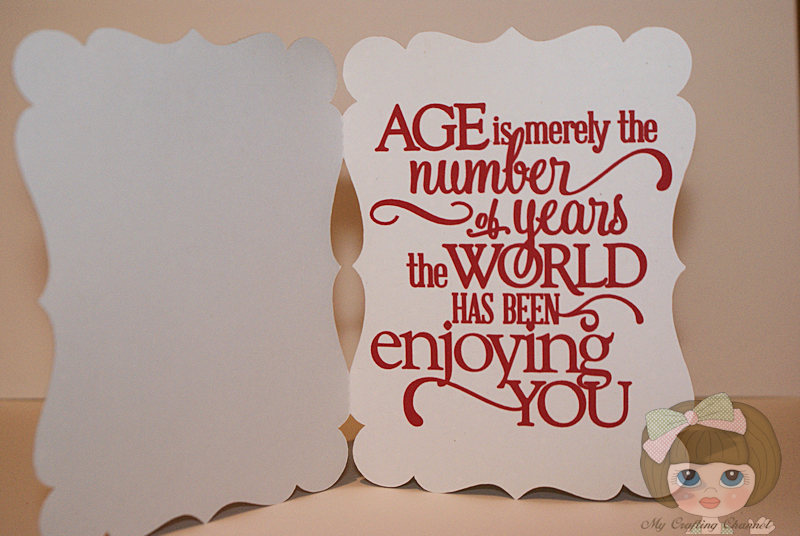 I can print sentiments in any font I want, the size I want and a color pulled from my project that matches perfectly. I can not believe all the machines and crafting supplies this one machine "Silhouette" has allowed me to get rid of. This is just so darn cute! I still do not know how to use the print and cut and wish I had the guts to just sit down and learn it. You come up with the cutest card using this feature. Have a great day and try and slow down! Love this darling little ladybug! Her face is so sweet and the glossy accents look great! Beautiful shape card! Great card - this is the cutest little ladybug I've seen. This is so cute. Love the shape and the sentiment on the inside. Great job! Oh my gosh....your lady bug card is the cutest! So stinken adorable...I mean look at that face! Love it! You did a fantastic job on the design, the shape is awesome and love the faux stitching! By the way, I just followed your instructions on faux stitching with the Silhouette and love how it turned out~thanks so much for sharing that! I also just noticed I was the winner for the blossom hop...yippee! I just emailed you and I already have a good use for the silhouette sticker paper:) Thanks my friend!!! Oh my gosh - that is the sweetest little image! What a cutie and I love the shape of your pretty card. Fabulous work my friend! totally adorable Nana, love the sentiment!! You are so inspiring! Your projects are always top of the line and interesting......of course CUTE ! Sorry I was not able to hop but I still have it on my to do list!!! What a super ADORABLE card!! Love that lovely bear image!!!! Have a great day.